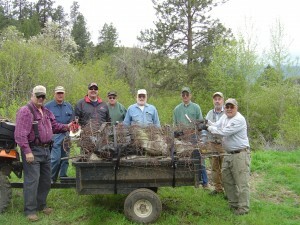 Big Canyon Trail at Pittsburgh Landing in Hells Canyon on the Snake River Idaho side received a cleanup. A group of Idaho Pathfinders Members hit the trails this morning in Big Canyon off of the Pittsburg Landing Road in Hells Canyon. The mission was to clean up around the old Poe Cabin. Over the years, an accumulation of trash and debris had collected up around this historical sheep herders cabin above the Snake River. IPA Members pulled out 4 trailer loads of garbage that included hog wire, mattress springs, pipe, old rusty lawn chairs, a hot water heater and other miscellaneous litter. Back in March, another team had brought out 3 trailer loads of garbage. 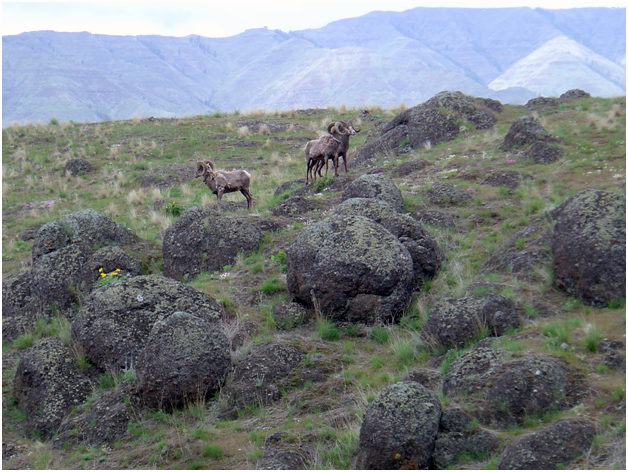 Cleaning up and preserving our wilderness areas provides a gesture of kindness toward others that call the Snake River Canyon their home. Keeping trails clean and safe enhances our enjoyment of outdoor recreation and appreciation for the beauty and purity of nature. Not all trail riders are responsible nor are they good stewards of the land. But the Idaho Pathfinders ATV Club strives to educate the public about keeping trails clean, enjoying the trails and helping to use the land in a way that offers a respectful approach that bodes well for humanity. 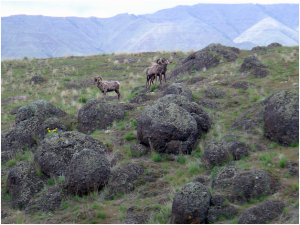 Today, the majestic Big Horned Sheep were appearing appreciative as they watched the team work from their rocky ridges nearby. 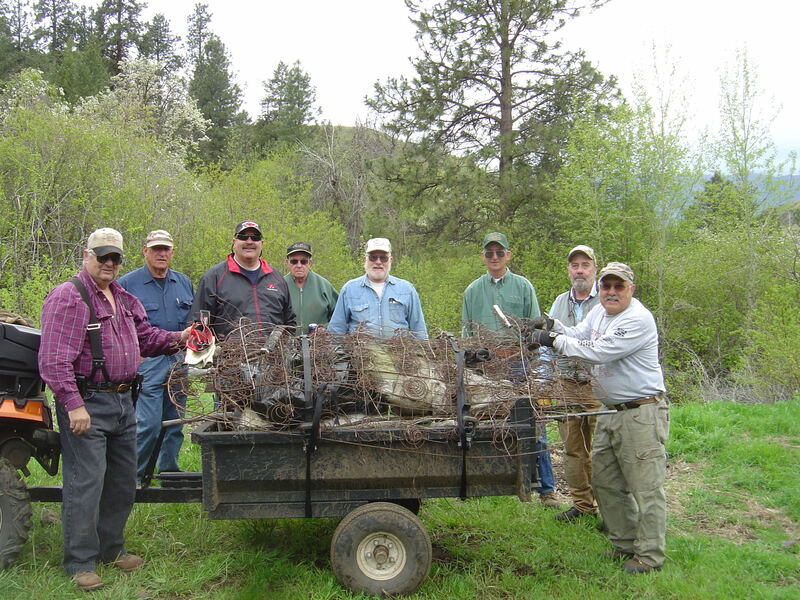 If you enjoy being outside and meeting new people with common goals, consider joining Idaho Pathfinders ATV Club as a member (Annual: $20/family – $15/individuals) and volunteering your time in the great outdoors this summer to help cleanup trails that help to keep access open to the public lands.